Lance T. Vance is a character in the 3D Universe appearing in Grand Theft Auto Vice City and Grand Theft Auto: Vice City Stories. He is the co-leader of the Vance Crime Family with his brother Victor Vance. He is a cocaine dealer who soon becomes the partner-in-crime of protagonist Tommy Vercetti in Grand Theft Auto: Vice City. NataliyaRodin Uploaded by NataliyaRodin on Nov 28, 2016 . 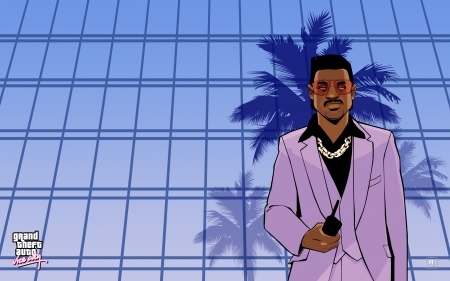 GTA - Vice City: Lance Vance - Desktop Nexus Video Games Download free wallpapers and background images: GTA - Vice City: Lance Vance. Desktop Nexus Video Games background ID 2196931. Lance T. Vance is a character in the 3D Universe appearing in Grand Theft Auto Vice City and Grand Theft Auto: Vice City Stories.